Alice was born in 1843 and was the third child of Queen Victoria and Prince Albert. Her name was chosen because Lord Melbourne, the former prime minister had expressed to Queen Victoria that it was his favourite name. As a child, Alice was raised with her eight siblings under the watch of a series of tutors and governesses, developing especially close relationships with her elder siblings Vicky and Bertie. 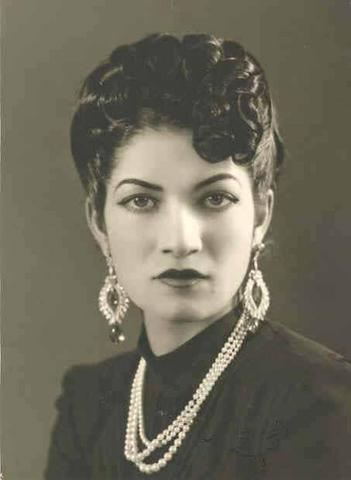 Alice was always a loving and caring child and was called the family caregiver. This role led to Alice caring for her dying grandmother and also her dying father in 1861 and subsequently to her role as her mother’s unofficial secretary and emotional crutch in the following years. It was young Alice who carried the weight of the family on her shoulders during this difficult period and became the representative for the monarchy as Victoria pulled back from public life. Despite the court still being in deep mourning in 1862, it was also the year that Alice got married. The wedding had been planned before her grandmother and father’s deaths, and Queen Victoria decided that the event should go ahead as planned as Albert would have wished. The wedding plans had begun two years earlier when Alice’s sister Vicky was given the task of composing a list of potential husbands. The chosen suitor was Prince Louis of Hesse, the nephew of the Grand Duke of Hesse. He had not been the highest in rank in the list of potential grooms, but after he attended Ascot races in 1860, it was clear that Alice and also her parents had taken a liking to him. After a substantial dowry had been provided, the wedding went ahead on 1st July 1862. The plans for a magnificent royal wedding were set aside, due to the family circumstances, and the couple were married in a small ceremony at Osborne house on the Isle of Wight. Queen Victoria was shielded from view of the ceremony by her sons, while Alice’s younger sisters were her bridesmaids. Alice’s uncle Ernest stepped in to give her away since her father had passed away. The day itself was wet and miserable which only added to the deep sadness felt by the family due to Albert’s absence. Queen Victoria wrote a letter to Vicky, her eldest daughter who was at her home in Prussia, stating that the wedding was more like a funeral than a wedding and later called the day the saddest day she could remember. It must have been difficult for Alice and Louis to find happy moments in their day, especially as Alice was only allowed to wear her wedding gown for the ceremony before changing back into her mourning clothes. Despite the sad start to their married life, Alice and Louis were happy together in the early years. They had an enjoyable honeymoon before beginning their lives together in Darmstadt in the Grand Duchy of Hesse and by Rhine. Despite being welcomed enthusiastically on her arrival to Darmstadt, Alice struggled to settle into life in Hesse. 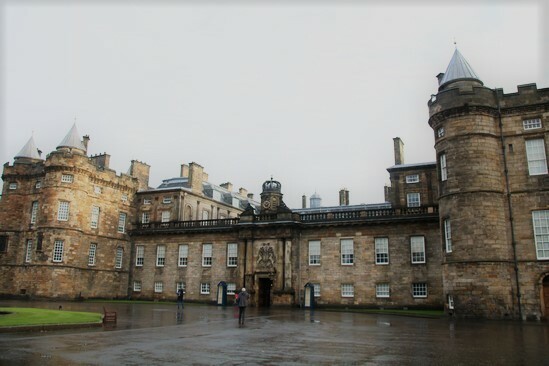 As a Princess of the United Kingdom, Alice had been used to the highest standards of living, whereas in Hesse she had to make do with a repurposed home next to a busy street and a much smaller income. Alice tried her hardest to fit into life in her new realm and dedicated her time to charity work and studying art. 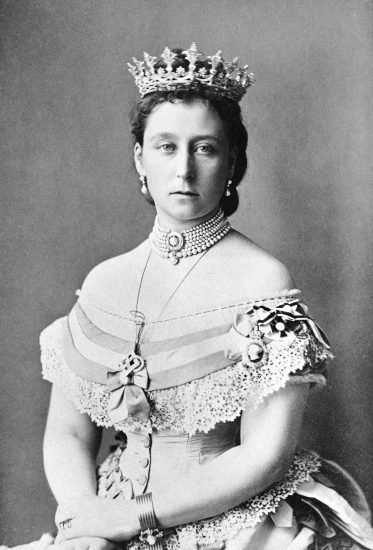 In 1863 the first of the couple’s children was born; baby Victoria arrived while Alice was attending the wedding of her brother the Prince of Wales and Alexandra of Denmark. The baby was born in the presence of her grandmother the Queen, who quickly made it clear to Alice that she did not like her style of parenting. Alice wished to breastfeed her own children, an idea which appalled Victoria, but she persisted and raised her children as she wished. 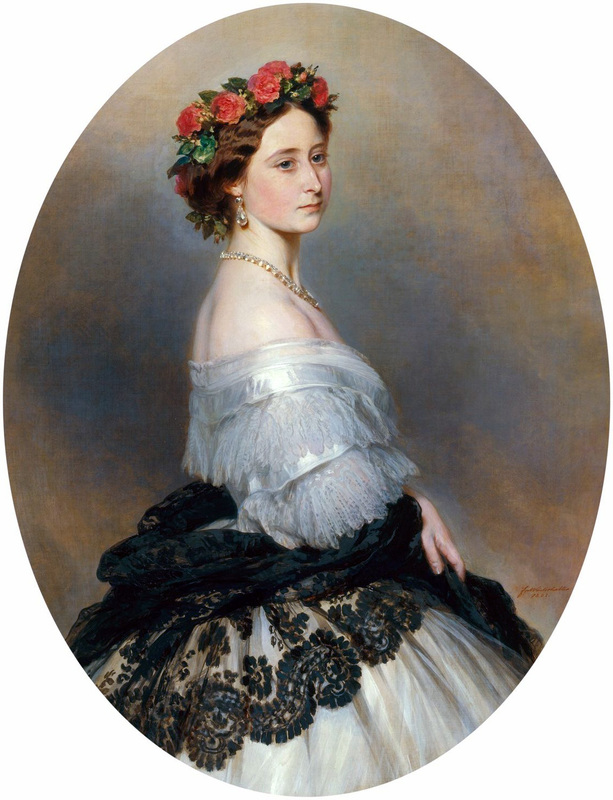 By 1874, the couple had seven children; Victoria, Elisabeth, Irene, Ernest, Friedrich, Alix and Marie. Aside from her role as a mother, Alice continued to support numerous charities especially devoting herself to women’s causes. 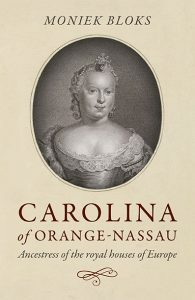 She became interested in nursing and befriended Florence Nightingale; this interest became useful when Hesse was caught up in the Austro-Prussian war on the side of Austria in 1866. This war meant that Alice and her sister Victoria the Crown Princess of Prussia were set against each other as enemies. During the war, Alice visited the sick, and her charities took over the running of the state military hospitals. Hesse fared badly at the end of the war and lost both wealth and territory which deeply upset Alice, especially as her sister celebrated Prussia’s victory. In May 1873, Alice experienced yet another tragedy when her youngest son Friedrich fell from a window and died. Alice felt lonely and did not receive the emotional support she needed from her mother or her husband. The cracks began to appear in the marriage of Alice and Louis, and their relationship was never the same again after this. After this Alice threw herself into her charity work and spent time on projects on social reforms and housing problems. 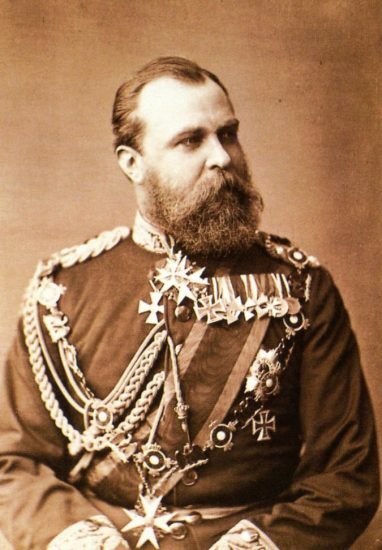 In 1877, Louis became the Grand Duke of Hesse, following the deaths of his father and brother in quick succession. Alice was greeted as Grand Duchess by the people of Darmstadt with support and enthusiasm that nobody expected, but she found the increase in her responsibilities and pressure from her elevated position hard to deal with. Alice began rolling out transforms against the poor conditions in her realm, but in the midst of this, her own household was struck down with illness. By November 1878, all but one of Alice and Louis’s children had been struck down with diphtheria. Four-year-old Marie died from the disease on the 15th November. With one child taken by such a dreadful illness and four others still suffering from it, Alice was heartbroken and wrote to her mother that ‘the pain is beyond words’. Sadly the tragedy did not end there, as Alice soon contracted the disease after kissing her son Ernest while he was grieving the death of his sister. 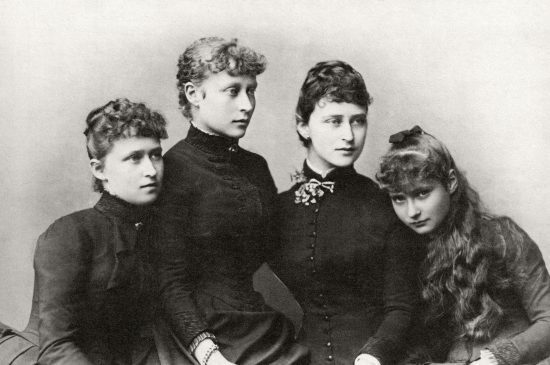 All of the Grand Ducal family apart from Princess Elisabeth were in the grips of the disease at this stage. On 14th December, the anniversary of her father’s death, Alice died. Her final words had been ‘dear papa’ as she must have been reflecting on the death of her father at the time. Princess Victoria mourned her sister deeply but was not allowed to attend her funeral due to the hostilities between their nations. Alice was the first child of Victoria and Albert to die, and her mother survived her by two decades. Even after Alice’s death, her family continued to suffer terrible tragedies. Alice’s daughter Alix went on to marry Tsar Nicholas II of Russia and Elisabeth married Grand Duke Sergei Alexandrovich of Russia. These choices of marriage partners were a fatal mistake for Alice’s daughters, as both were brutally murdered by the Bolsheviks, as were Alix’s five children which led to the end of the Romanov dynasty. In 1978, Alice’s grandson Louis Mountbatten was assassinated by the IRA, apparently due to the continued British interference in Ireland. It seems that the descendants of Alice of the United Kingdom are now experiencing better luck and happier times. Her great-grandson is Prince Philip, Duke of Edinburgh; he has recently celebrated 70 years of happy marriage and lives surrounded by his children, grandchildren and great-grandchildren and has dedicated his life to philanthropy and royal duties just as his great-grandmother Alice did. Another family tragedy was that of Alice’s daughter Alix who passed the hemophilia gene onto Alexei the tsarevich. Although not lethal during his short life span the genetic disease did cause him a great deal of pain and suffering as well as anguish to his parents.Feeding on their misery,the starets, Rasputin , ingratiated himself into the royal family. This only added to a long list of grievances that ultimately doomed the Romanov autocracy after 300+ years.